Showers and thunderstorms are gradually becoming better organized in association with an area of low pressure located about 600 miles southwest of Manzanillo, Mexico. Although upper-level winds are only marginal conducive slow development of this low is possible as it moves west-northwestward at 10 to 15 mph. 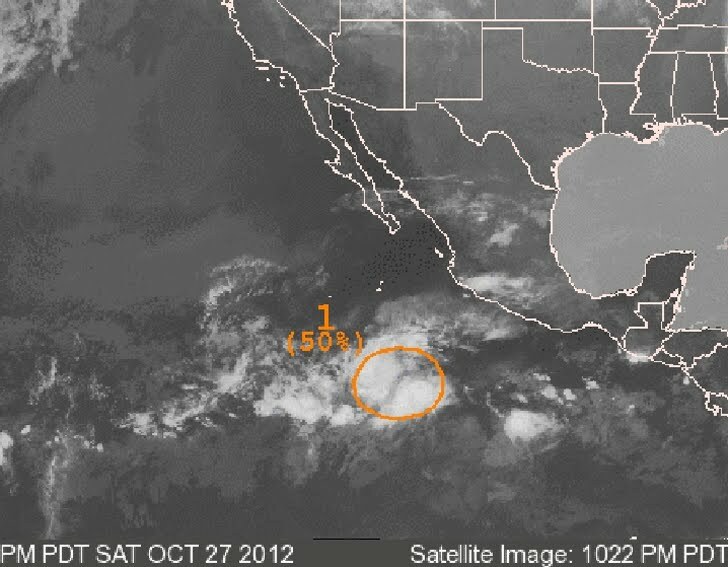 This system has a medium chance, 50 percent of becoming a tropical hurricane during the next 48 hours.